Home > Monthly Activity > Jo the Joker > Striking or Schooling? An interesting article has been written by David Reed, saying that Activism is more important than grades. This Friday there was another large-scale school climate strike, following the one last month. Adults were secretly thrilled by children coming to call action on climate change and even wishing they had done it themselves in their younger years. However, the more disapproving comments have come from Geoff Barton (Secretary of the Association of School and College Leaders) and Toby Young (The Free School Evangelist) who both seem to have quite missed the point. Surely children engaging on important issues such as this, are showing how educated and driven they really are? Maybe the strikes are an indication of how well the children are being educated in the schools. If the children are unaware about climate change, then the teaching is failing. The Department of Education has been very keen to push the importance of promoting ‘character’ in schools. So alongside formal learning, children are encouraged to develop traits such as courage, and determination so they can thrive in adult life. The education sector has been extremely supportive for the last 6 years with a government backed campaign to promote social action in schools in order to build these characterful traits. Practical action can be used to change social attitudes. Motivation is a great trait to have and this generation of children really care about social issues, more than any previous one. 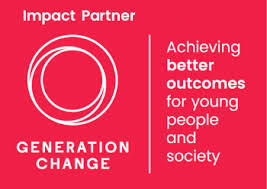 David Reed is a director of Generation Change, a charity that promotes youth social action in the UK.